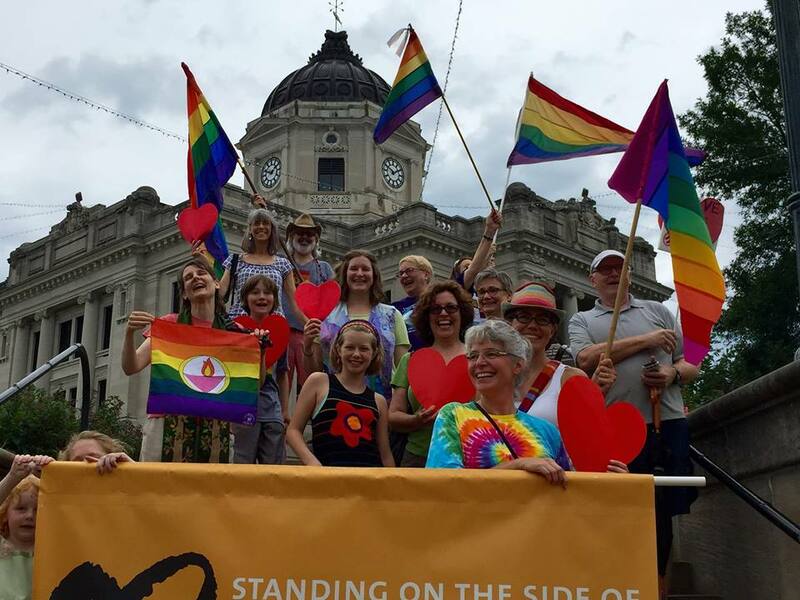 Social justice is central to who we are as Unitarian Universalists: a people of "deeds, not creeds." We dream of a better world, one that gives life the shape of justice. We put our principles into action, from respecting the inherent worth and dignity of every person, to protecting the interdependent web of all life of which we are a part. Making our outer lives align with our most cherished values - living with integrity - helps each of us grow spiritually. By working together in religious community, we combine diverse perspectives and skills. We share much-needed hope and solidarity. And together, we can achieve much more than any one of us could alone: a planet transformed by our care. Social justice is an important part of what drew me to Unitarian Universalism as a young adult. I was passionate about this work as a lay leader, and I have discovered during my ministry thus far that I am able to reach people from the pulpit, inspire learning and action, and nurture the leadership of others in a sustained way. Causes particularly near and dear to my heart include racial justice and multiculturalism, peace & principled nonviolence, and economic justice. I am a feminist, an environmentalist, and an advocate for interfaith understanding and cooperation. My consciousness has been raised around LGBT equality and the inclusion of people of all abilities, too. I recognize that other issues may be important to particular congregations and communities. I embrace opportunities to learn with and from the congregation I serve, as well as to help lead our witness work. From local actions to marches on the mall in D.C., I have participated in protests against things that disturbed me - what might be called Obstructive Program - especially with rising threats from 2016 on. But I have been equally drawn to what Gandhi called Constructive Program: creating new forms of social organization and ways of living that reflect our highest values. For example, I learned about grassroots economic development in India, facilitated a study circle on nonviolence and the economy, and served on a co-op board, leading our education work while we explored how to further build the co-op sector as an alternative economic model. Among clergy leading singing at the March for Love Not Hate on the Tarrant County courthouse steps. The event was a response to increased racist violence, including in Charlottesville (2017). 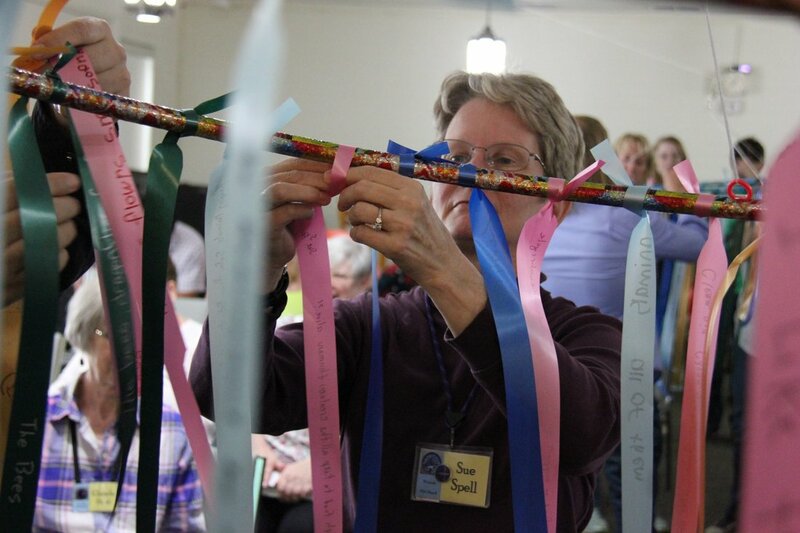 People participate in a Climate Ribbon Ritual during worship (Earth Day 2018). Kits put together by our children and youth for immigrants who have come across the border, seeking asylum or just coming out of detention (July 2018). 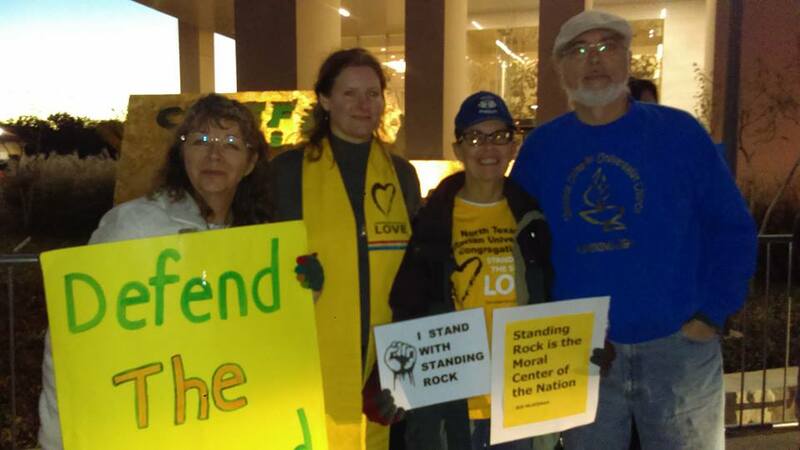 Protesting outside the Dallas headquarters of Energy Transfer Partners, the company responsible for the Dakota Access Pipeline and the violence at Standing Rock (November 2016). 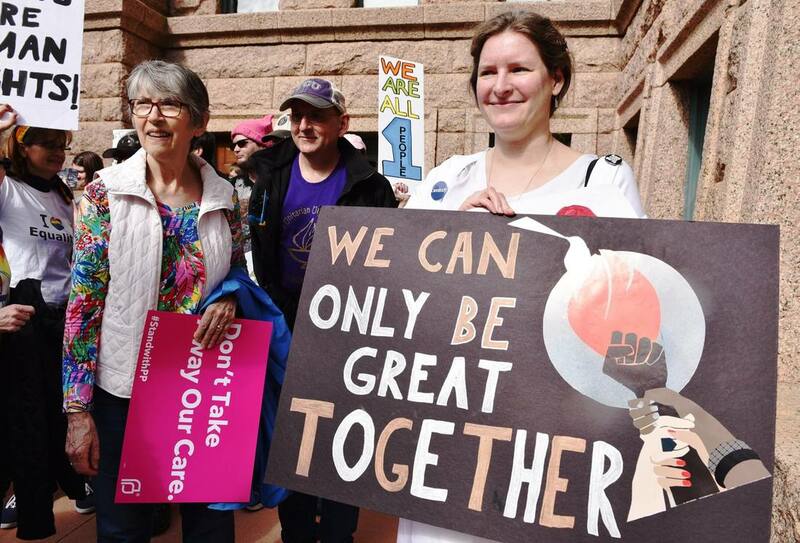 Westside UUs at Texas UU Justice Ministry's Legislative Action Day in Austin (February 2017). 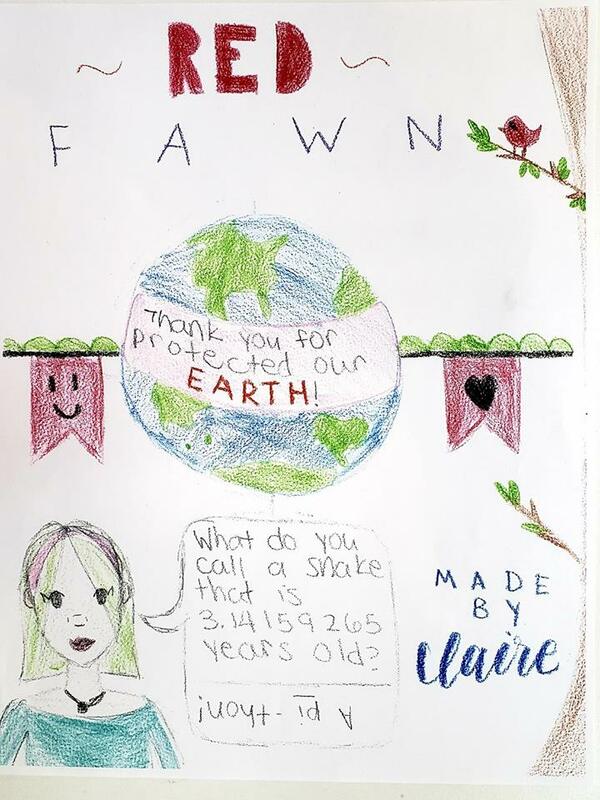 One of the cards made by our children in late 2018 for Red Fawn, an indigenous water protector incarcerated as a political prisoner at FMC Carswell in Fort Worth, thanking her for her activism at Standing Rock. We have worked to actively support Red Fawn and her visitors from home.